My favorite real estate book is Zeckendorf: The Autobiography of the Man Who Played a Real-Life Game of Monopoly And Won the Largest Real Estate Empire in History. William Zeckendorf was bigger than life. In history, his deals are compared to the days of the Louisiana Purchase, responsible for redoing whole sections of New York, Denver, Washington, Montreal and Dallas in the middle of the last century. Although he allegedly had the Midas Touch, he also experienced serious financial setbacks due to the risks he took. What I like about the book is his humility and his honesty about the ups and downs of real estate development and how he managed to the humiliation and the financial woes of taking too many risks and being over-leveraged. Today, grandson Will Zeckendorf wears two different hats: brokerage and development. He is the owner, founder and co-chairman of Zeckendorf Development, as well as co-chairman of Terra Holdings, parent company of Brown Harris Stevens and Halstead Property. 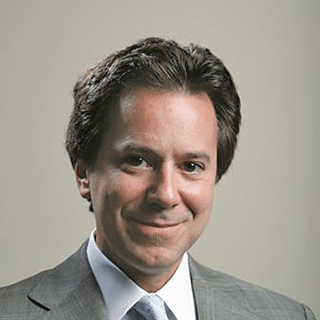 Co-founding Zeckendorf Development with his brother in 1992, Zeckendorf has been active in real estate development and acquisition, as well as the purchase and management of real estate companies for over 25 years. In 1995, the family bought part of Terra Holdings, a company that includes the Brown Harris Stevens and Halstead Property brokerages. This generation has turned their last name into a luxury brand, first with high-end projects like 515 Park Avenue and with 15 Central Park West. You can meet Zeckendorf at Global Connect in New York City on April 7th at the Mandarin Oriental Hotel where attendees will hear intriguing stories about his family’s past and what he sees happening around the bend. He will discuss what he thinks the market is doing now, why high-end sales have slowed down and how brokers can succeed in a squishy market. “So far, it is unit sales, not prices” that have been hit, said Zeckendorf. What’s changed in the last 10 years? “The arms race that we launched has created more competition. More developers chasing more sites,” he said. The Zeckendorfs have developed approximately $4 billion in properties, including the infamous Fifteen Central Park West, a 200-unit luxury residential condominium which broke all North American records by achieving over $2 billion in initial sales. Terra Holdings has become one of the largest privately owned real estate service companies in the United States, with 75 offices in four states that employ 3,000 brokers. How will you cope with global uncertainty?